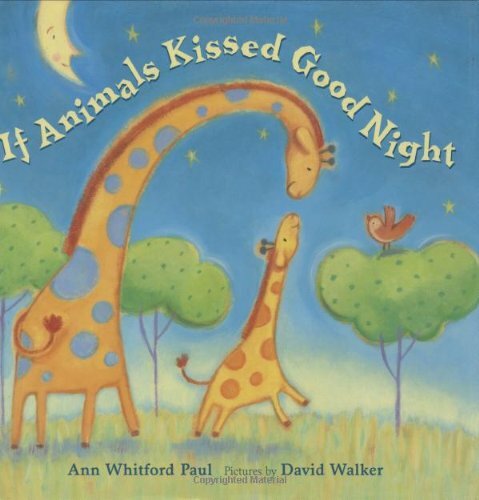 A great read aloud list for infants and toddlers. 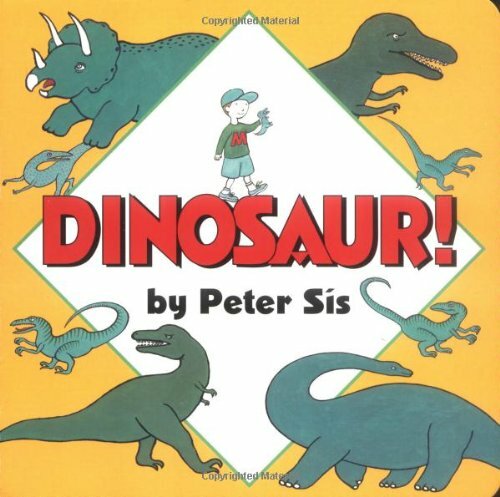 This list is created by Read Aloud America. Dimity Duck waddles, she toddles and she sings. Giggle-gaggle goes her tail and whoosh! go her wings. So begins the day for Dimity Duck, full of brushing feathers and playtime with her friend, Frumity Frog. 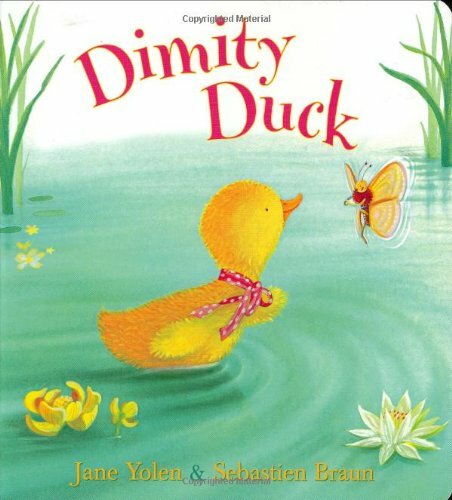 Worldrenowned author Jane Yolen and Sebastien Braun have created a delightful character full of childlike curiosity and adorable whimsy in Dimity Duck, now in board book format, ideal for the youngest of readers. 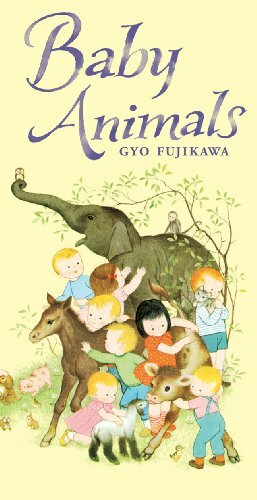 Youngsters are endlessly fascinated by animals, so what better way to teach them about the basic concepts? 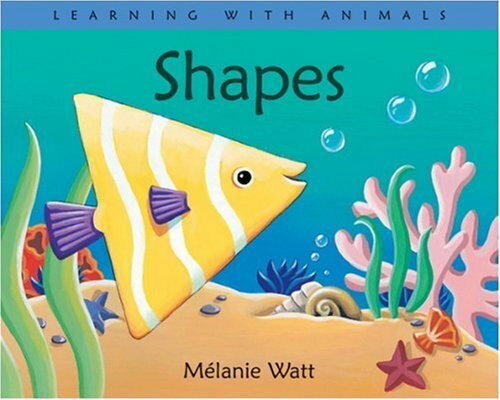 Animals of the ocean display both simple and complex shapes in this board book from the Learning with Animals series --- perfect for little hands. 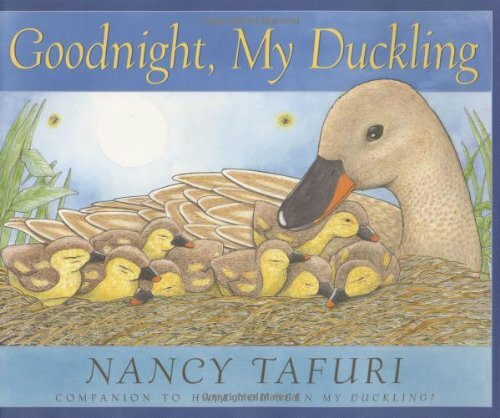 Award-winning author/illustrator Nancy Tafuri presents a charming bedtime companion to her classic Caldecott Honor winner HAVE YOU SEEN MY DUCKLING?. The sun is setting and it's time for Mama to lead her youngsters home. One dawdling duckling falls behind, drawn to the pond creatures who call, "Goodnight, Little Duckling!" as he paddles by. Soon, Mama and the other ducklings are all out of sight, but there's no need for alarm. One special turtle is waiting to carry the little duckling back to Mama's nest. 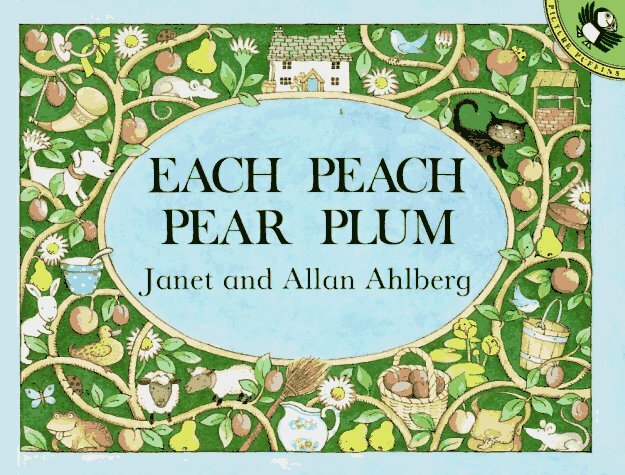 In this fresh companion to her classic Caldecott Honor winner HAVE YOU SEEN MY DUCKLING?, Nancy Tafuri's beautifully detailed watercolors and spare text once again capture the tender feelings and joyful wonder of childhood. It starts in the tub, with a dinosaur bath toy.But then another dinosaur pops out of the water. And look out -- here comes another -- and another -- and ANOTHER. I'm looking for a dancing song. Can you help me? Come swing, roll, wiggle, splash, climb, and hop as Little Frog finds his perfect dancing song. Illus. in full color. 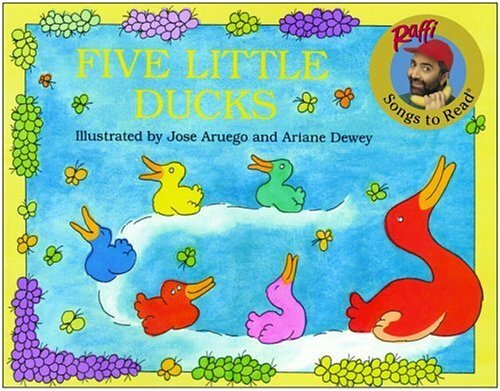 "Vivid pictures tell the tale of a mother duck who loses her ducklings, one by one. A happy ending is assured when they return with ducklings of their own. Music and chords are included. 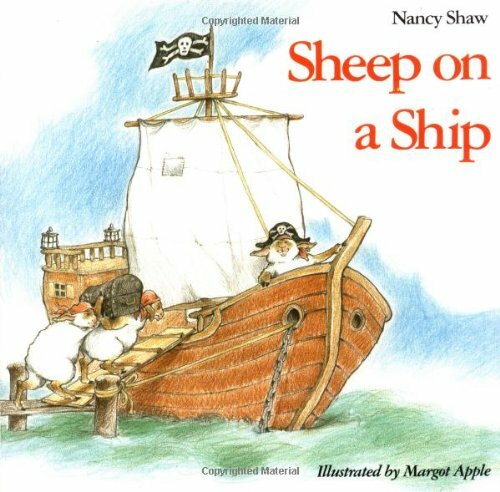 The title is well done, giving a visual dimension to a popular children's song, and will be successful for story times and general library use." --School Library Journal. 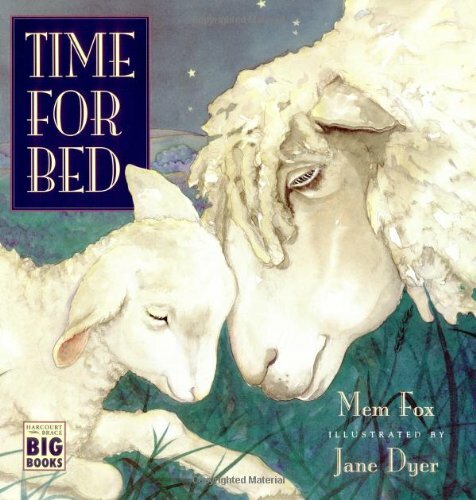 In a cozy bedtime chat with her mom, a young girl wonders how animal families might say good night. Would Wolf and his pup “kiss and then HOWL”? Would Bear and her cub “kiss and then GROWL”? But what about Sloth and her baby? They move soooo slooowwwww . . . they're sure to be kissing from early evening until long after everyone else is fast asleep! 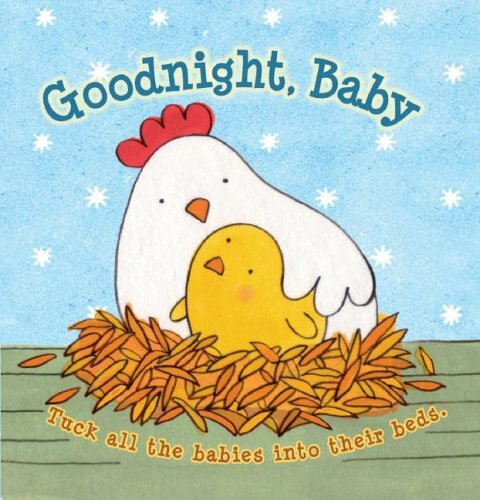 With its whimsical art and playful rhymed verse, this affectionate picture book is bound to become a bedtime favorite. It's clear that Tiny is a not-so-tiny dog. A pail, a sink, and even a bathtub are too small to wash him in. 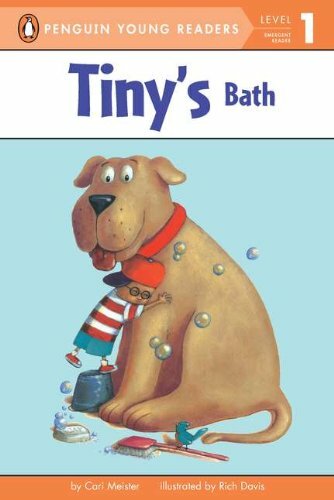 Will Tiny ever get the mud cleaned off him? Find out in this fun Level 1 reader. 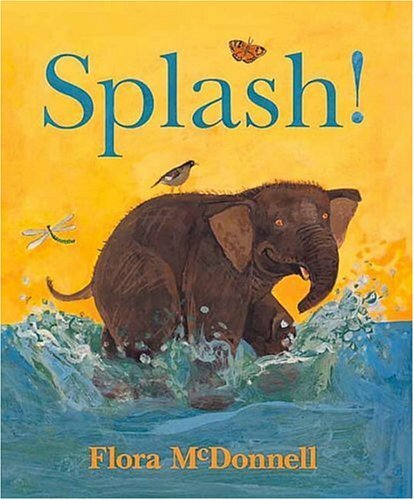 When the jungle animals are hot, a baby elephant has a good solution involving the squirting and splashing of water at the water hole. Snuggle up with Baby Duck for a private photo viewing with Grampa in this adorable new episode perfect for preschoolers. It's a rainy, rainy day, and Baby Duck has a little cold. But as always, Baby starts feeling better when Grampa comes to visit, especially when she sees the cheering-up present he's brought. 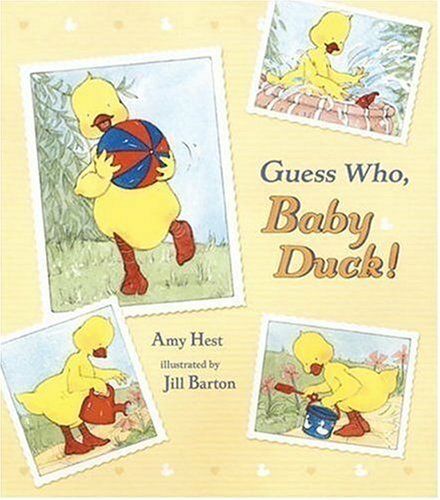 It's a big book filled with pictures of Baby Duck! There she is on the day she was born, and right after a bath, and taking her first wobbly steps. Baby likes what she sees, and she loves spending time with Grampa. Little listeners who adore being the center of attention are sure to share Baby's enthusiasm — before running off to find their own family photo albums! Ducks in muck. Ducks stuck in trucks. Trucks stuck in muck. How will the trucks and ducks get unstuck? 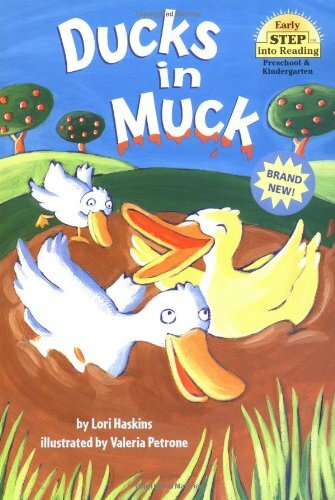 Discover what happens to a group of friendly ducks when they play in the muck and then are taken away in a truck! just like the children themselves. No more diapers for me! 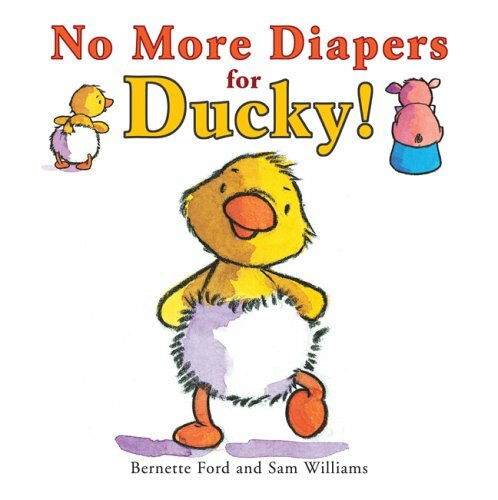 That's what toddlers will proudly proclaim after they hear this appealing tale of a lovable duck who takes the big step. When Piggy can't come out to play because he's busy sitting on the potty, Ducky realizes it's time to grow up, too. 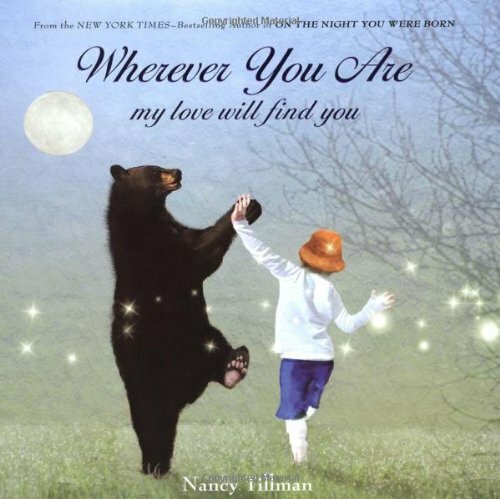 A sweet and subtle story, with two huggable animals that children will embrace. Bernette Ford is the author of the forthcoming First Snow, and co-author of Bright Eyes, Brown Skin. 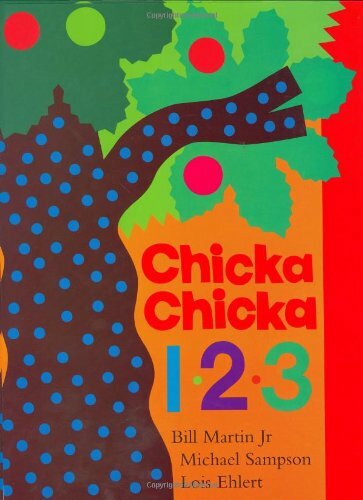 Sam Williams has illustrated numerous picture books for children, including Cold Little Duck, Duck, Duck by Lisa Westberg-Peters and Little Red by Sarah Ferguson, The Duchess of York. 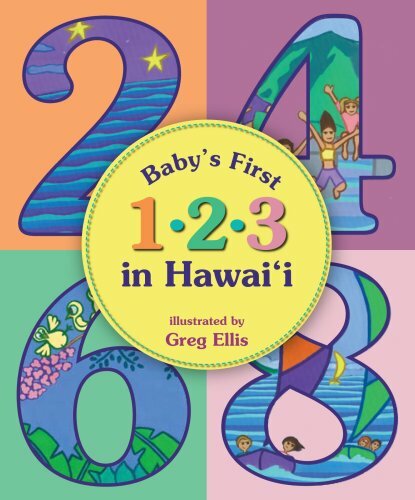 A colorful introduction to counting from one to ten for the littlest keiki. Paddle along with Little Fish on a mesmerizing tour of friends spotty and stripy, happy and gripy, hairy and scary, even curly-whirly and twisty-twirly. 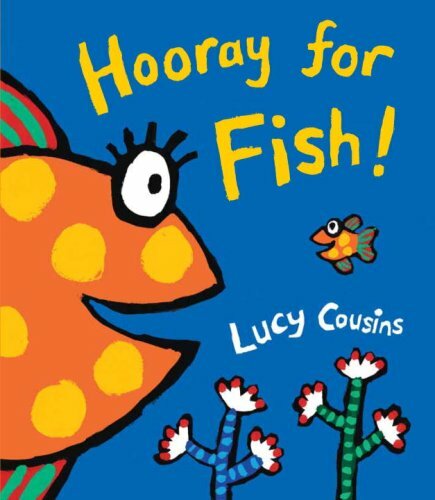 From the creator of Maisy comes an undersea riot of color and rhyme — an eye-popping read-aloud sure to have little ones joining the chorus: Hooray for fish! 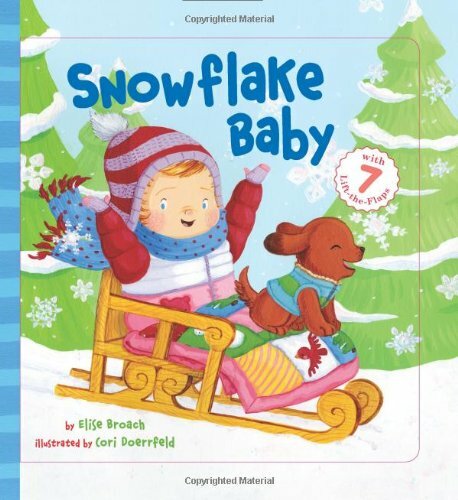 Little ones will love playing along with baby during a day full of wintry fun, from snowballs to sledding. 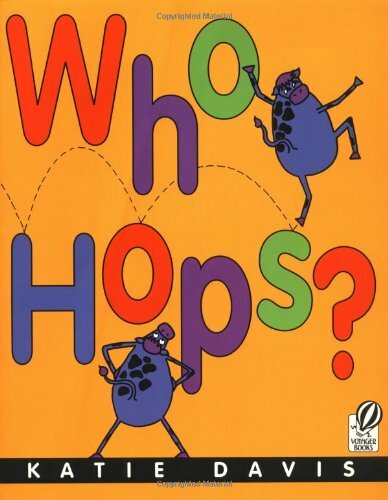 This interactive novelty board book features large lift-the-flaps on each spread, hiding charming surprises underneath. With acclaimed author Elise Broach's delightful rhyming text and playful illustrations by Cori Doerrfeld, this is the perfect read-aloud to share after fun-filled snowy day!